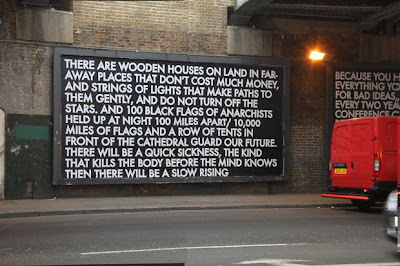 After a lot of exhibitions elsewhere, Robert Montgomery’s first London solo show in over a year has opened at KK Outlet. 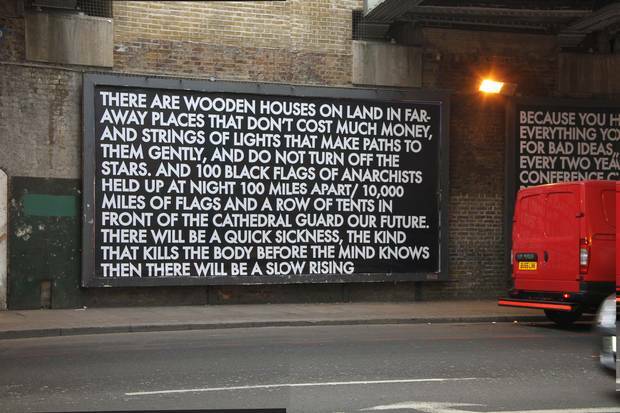 Good to see the whole thing was sponsored by that arch-enemy of capitalism - Red Stripe (owned by Diageo). For more information see KK Outlet and the launch night Flickr feed.